Technolase is a privately-owned, company serving the medical fraternity and the aesthetic and well-being industries. We focus on improving people’s lives through the use of advanced aesthetic equipment with special emphasis on laser technology. Our headquarters are in Pretoria, South Africa, but we serve the whole of South Africa (as well as some of the neighbouring countries), providing equipment, dedicated training and technical support to customers. Practical-oriented up-to-date training for aesthetic laser therapists brought to you by LaserCollege in partership with Beautiko College. 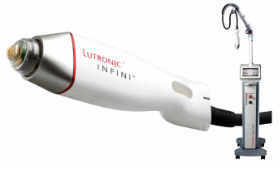 LUTRONIC: HOW TO GET BEST RESULTS ON ACTIVE ACNE? LUTRONIC: DID YOU MISS ENCURVE WEBINAR? Have you checked out the workhorse laser, Clarity, webinar?